ACX plywood is a type of plywood of a very high grade. While it is not a species of tree or wood, specifically, it is a very specific degree of wood. The letters in the name “ACX Plywood” refer to the grade of wood, and glue, used to make the plywood product. It has nothing with strength, since it mostly depends on thickness. 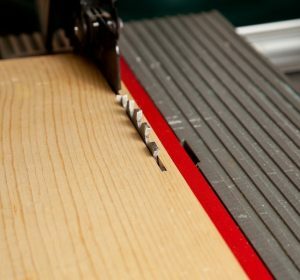 Grades are determined by the quality of veneer on the face and back of each plywood panel. To begin, the “A” refers to the face side of the plywood, which is always the better side. This side will have fewer noticeable blemishes, such as wood knots. “A” grade wood, specifically, is known for having very few defects or knots. 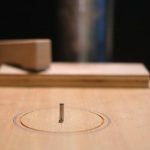 On a side note, these defects can usually be fixed with wooden plugs, synthetic patches, or synthetic fillers to turn the wood into an “A” grade wood. Also, these surfaces are always sanded to allow them to be paintable. The “C” side, or the back side, is of lower quality. These wood panels often have several defects, including both open and closed knots, as well as cracks and splits. Wood discoloration is also common for this grade of plywood. “A” and “C” grade plywood are often used together, since people typically only need one “good side”. Plywood is pressed wood most often used in construction. The “good side” will always be the visible side, such as, perhaps, the floor of a room. Since there are two separate “wood panels”, an adhesive is used to bring the two together. ACX plywood uses an exterior adhesive, indicated by the “X”, which is also waterproof. This also brings more quality to the plywood and makes it less susceptible to damage in various weather conditions. Plywood in general is used for construction purposes. Since ACX plywood is of a higher grade material, this is specifically used in cases that require both look and durability. For starters, ACX can be used in many different situations, but is recommended for use only in those which require high quality material. Because this plywood can be more expensive, most people only use it for good flooring or wall building. Again, though, the “X” indicates that this type of plywood can be used for exterior purposes, and is durable against many weather conditions. The waterproof qualities of this plywood make it great for rooms or houses that get exposed to moisture frequently. Take building a shed for example. Many people use ACX plywood in this situation, since it easily stands up to moist ground, rain, etc. Using it as floorboards, or as an outside covering is a great idea. Using it for the inside wall covering is fine, but cheaper alternatives would work just as well. There are other uses, this is just one of the most common examples. Plywood can usually be found at any local hardware store. Some allow for online purchases, like Menards, The Home Depot, or Lowes, although many have in-store purchase only. Again, ACX plywood is most likely going to be more expensive than other plywood types, due to the higher quality.